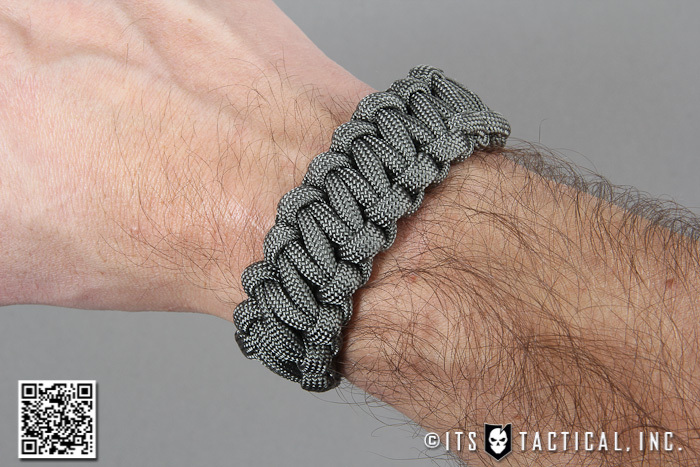 This week’s Knot of the Week isn’t a true knot per se, but a way to wrap objects to increase their grip and also to store extra paracord. Today we’ll be wrapping a County Comm Micro Widgy Bar, which is a miniature pry bar. It’s made from hardened D9 steel and is around 3″ in overall length. 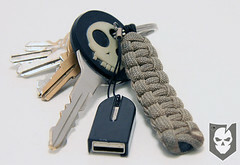 The wrapping we’ll show you today isn’t a very complicated wrapping, but still provides a nice secure way to lock in the paracord. 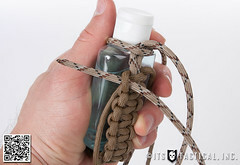 Some people like to wet paracord before wrapping which will enable you to get the wraps tighter, but if you’re concerned about that, you should also use a vise to hold the object you’re wrapping. 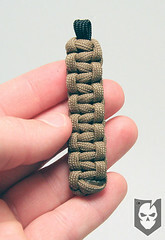 We’ve used around two feet of paracord to wrap this Micro Widgy Bar, but depending on your lanyard length you might want to use a few more inches.